Cappanalea OETC has an extensive offering for post primary schools. There are specific programmes for Junior Cycle students, Transition Year students and Senior Cycle students. Many aspects of the national curriculum are provided for, with initiatives in numeracy and literacy also included. Below you will find details of the more popular second level school programmes, but also courses can be designed and tailored to meet individual school needs. Cappanalea OETC continues to prove itself to be one of the premier venues for transition year outdoor education programme providers. The popular Outdoor Challenges and the Explore Courses (see Outdoor Courses) give students unique opportunities to learn in the outdoors from adventure challenges and expeditions. The memories students have from these courses will last them a lifetime. 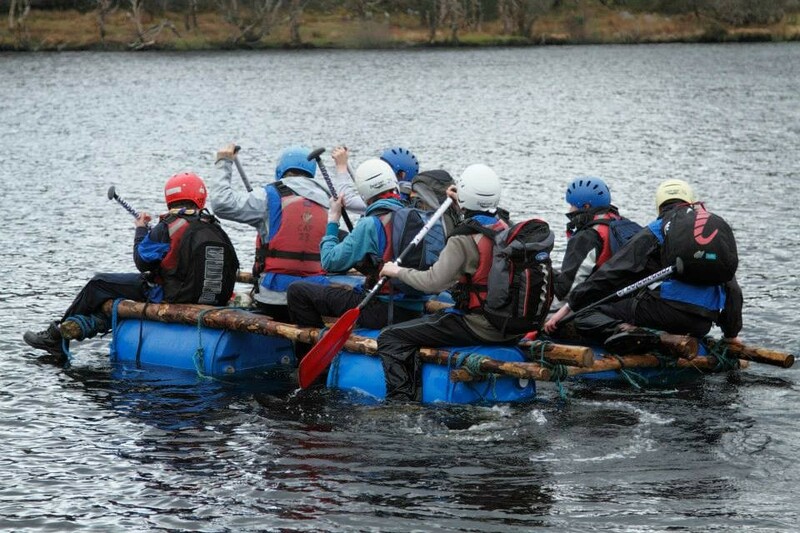 Cappanalea OETC can tailor team building courses to suit the needs of the school. Be it a teambuilding induction for amalagation of classes into transition year or to bond with new school entrants. No team is too small or no school group is too big. Cappanalea OETC has successfully delivered exciting team building events to class groups; year groups; and multi school groups. Cappanalea OETC is well positioned to support teachers in the delivery of the Adventure Activities Module of the Junior Cycle Physical Education Curriculum. The Centre has all the expertise and specialist equipment to meets the needs of the incoming schools, be it orienteering skills; land based; water based activities; camping or team challenge initiatives. The Kerry ETB inter schools JCPE Rich Task Orienteering Event is again taking place for first year students on Tuesday 17th October 2017. Between the Kerry ETB schools and the participating Kerry Secondary Schools, who teach the JCPE model, there will be around 600 orienteering taking part in the event. Wilderness expeditioning and remote camping creates an indelible impression in the minds of young people. Here in Kerry we have a strong and rich tradition of expeditioning and a unique wilderness environment which lends itself to outdoor adventure. The expertise in Cappanalea and throughout the county could be harnessed to expedite this educational and adventure initiative. 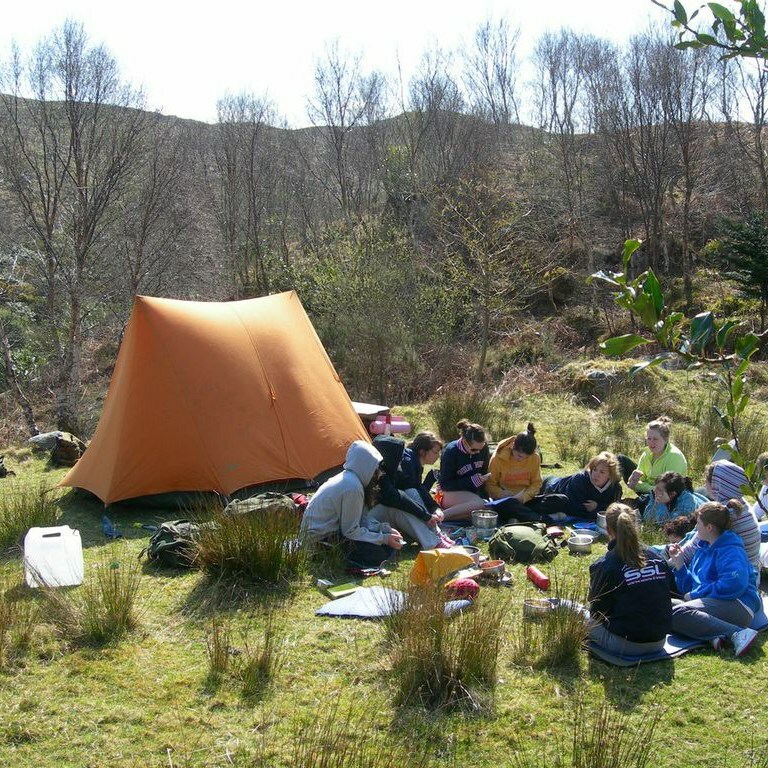 The group of ten or twelve students, aged 15 to 17 years old, will be invited to engage in the Adventure Expedition of outdoor sporting and cultural activity on a five day self contained wilderness journey. Students along with two instructors from Cappanalea OETC, would pack and carry everything necessary for 4 nights camping and undertake projects and compile journals as a means of recording the expedition. PE teachers would be welcomed to participate in some or all of the expedition. 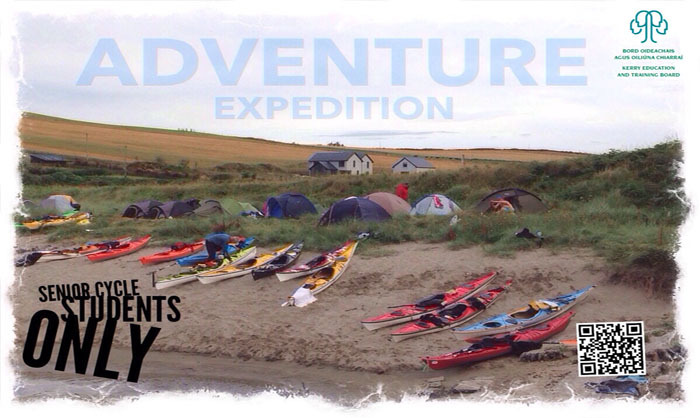 In the inaugural year of the expedition it is planned that it will be based in Kerry. 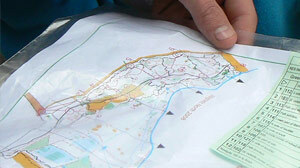 The programme of activities will include sea kayaking; camping, hiking and rock climbing. <TAKE THE NEXT STEP - Senior Cycle Students interested in joining this Adventure Expedition are invited to submit a letter / email expression their interest and the the benefits which their involvement will bring to the expedition. Please make sure to identify your school or centre and your year group in your letter or email. Year after year students and teachers tell us that the week in Cappanalea OETC on the EXPLORE Course was the best week of their schooling. We have no doubt that the week will provide everyone with life long lessons and memories standing to them long into adulthood.